Professor Farnsworth: I never thought I'd live to see this tree again. Thank you for staying with me, Fry. 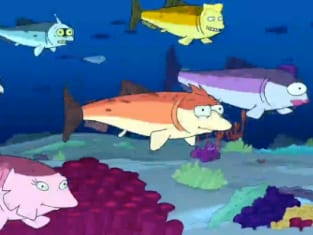 Fry: I'm not Fry, I'm his great-great-grandson, Fry. Fry: My beak is different, see. It evolved a slightly bigger hook over the generations to eat the cactus on this part of the island.